Pins and Needles is celebrating their 1-year anniversary. Congratulations to Molly and Keith. 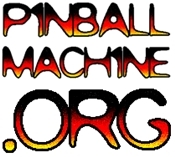 Here’s a video of their combination pinball arcade and tailoring/alterations store.